NISHIO, AICHI PREF. – A growing number of food industry firms are seeking halal certification for their products dishes, reflecting an increasing influx of Islamic travelers and the huge global market they represent. Halal, an Arabic word meaning “permissible,” is used to designate foods that comply with Islamic law by excluding pork and alcohol. To obtain halal certification, food makers and restaurants must not only prove their products or dishes don’t contain the two ingredients, but also that there is no possibility of those ingredients being used during the manufacturing or cooking process. Rice cracker maker Katouseika Ltd. obtained halal certification last June for its cuttlefish crackers, which are now sold with halal labels at a department store in Singapore and at Narita International Airport near Tokyo. The special crackers rang up some ¥2 million in sales from July to December. “We hope these halal crackers will allow us to expand our sales channels at a time when domestic demand is slumping,” said Kazuya Nakagawa, 26, who is in charge of product development at the Nishio-based foodmaker in Aichi Prefecture. The firm is now working on getting halal certification for its mainstay shrimp crackers. “We want to spread the flavor of Japan” around the world, Nakagawa said. Minokichi Inc., a chain offering the traditional cuisine of Kyoto, has prepared a Muslim-friendly menu at some restaurants that includes dishes cooked with halal meat, based on customer request. 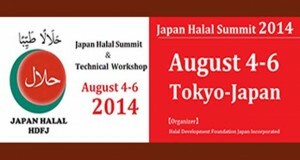 The menu is welcomed by Muslims as there are only a few Japanese eateries that offer halal dishes, the chain said. An estimate by the Malaysian government says halal food is a $547 billion market. Visitors from the six major members of the Association of Southeast Asian Nations with large Islamic populations totaled 993,000 from January to November 2013, about 50 percent higher than a year earlier, the Japan National Tourism Organization said. 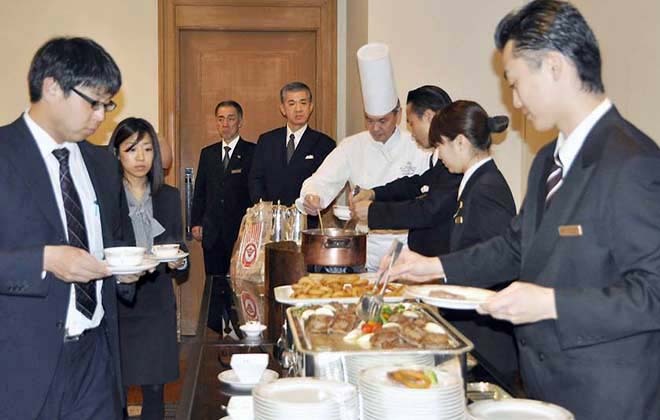 “Efforts to respond to the needs of (people who eat) halal food are indispensable to the future of the Japanese tourism industry,” said Masanori Naito, professor at Doshisha University’s Graduate School of Global Studies. But there is confusion stemming from cultural differences. To make halal crackers, Katouseika set up an independent production line, put plastic curtains over a machine that mixes the ingredients, used specially marked baskets for delivery and created an exclusive storage place for the packages. Nakagawa said some employees are puzzled because making halal crackers requires additional work and time even though the products are the same as those consumed by Japanese.